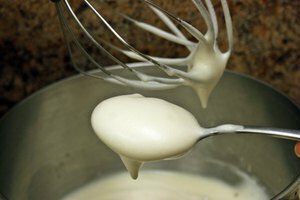 Frosting made with shortening will result in a creamy, attractive appearance. It will have more body than standard butter cream frosting, and will keep longer when stored. Additional flavorings and color are also easily incorporated for customization. This recipe yields enough frosting to top one 9 x13-inch sheet cake or one dozen cupcakes. Place a large metal mixing bowl in the freezer for 10 to 15 minutes to chill. This will prevent the shortening from melting and help keep it firm while making the frosting. Remove from the freezer just before mixing the ingredients. Add 1 &#xBD; lbs. of powdered sugar, 1/3 cup of vegetable shortening, and two tsp. vanilla extract to the chilled bowl. Pour in 1/3 cup of water and mix thoroughly with a fork. 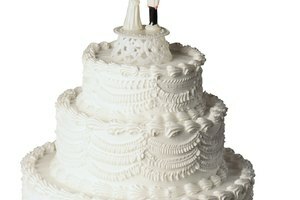 Beat the frosting with an electric mixer on high speed for 2 to 3 minutes. Stop the mixer and scrape the sides of the bowl with a rubber spatula. Beat again on high speed for an additional 2 to 3 minutes, or until the mixture is fluffy and smooth. Add 3 drops of food coloring of choice, if desired. Mix well with a fork to thoroughly incorporate the color. Omit the food coloring if you desire a plain white frosting. Use the frosting immediately to ice cakes or cupcakes. The frosting may be stored in the refrigerator for up to one week, if necessary, although it will become more difficult to spread as it sets. Beat stored icing for a few seconds before use to make it easier to spread. 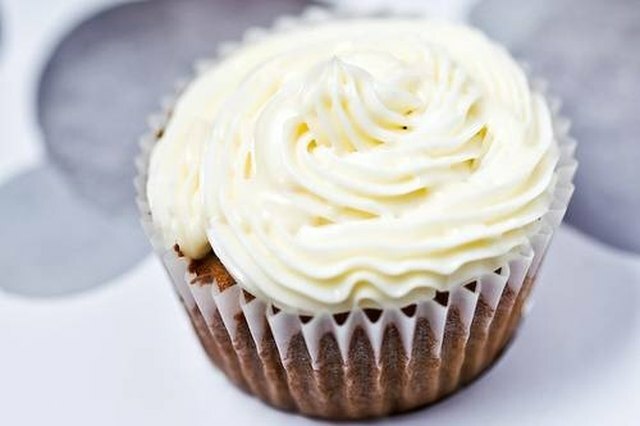 To make frosting with shortening appear more like butter cream frosting, use butter flavored shortening that has a slight yellow color. 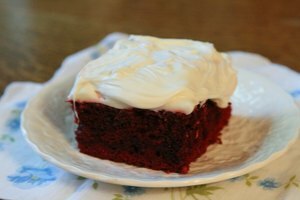 For a white or colored frosting, use regular vegetable shortening. Try different variations of the shortening frosting. Replace water with lemon juice and vanilla extract with lemon zest for lemon frosting. Replace water with coffee for a mocha flavored icing. Use your imagination and come up with your own variations.